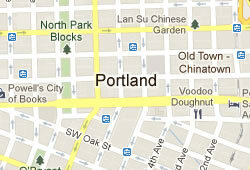 The quadrant of northeast Portland is home to a variety of interesting neighborhoods and ethnic enclaves. The area is also noted for its diverse collection of independently-owned eateries, serving up everything from steaks to Italian to French bistro fare. Suffice it to say that NE Portland dining is delicious and plentiful. Let’s look at a few of Northeast Portland’s notable restaurants. Located in a brick, early 20th century firehouse, this popular eatery serves dinner nightly in a cozy atmosphere, highlighted by a wood-burning stove in the open kitchen. Firehouse fare emphasizes fresh, local, seasonal ingredients, and its menu includes a variety of artisan pizzas, small plates for sharing and grilled entrees (none over $18). They also offer an eclectic collection of wines by the glass. Beast is a mandatory stop in any NE Portland dining experience. This small (twenty seats, two tables) restaurant serves dinner four nights a week and brunch on Sunday. The dinner menu, which changes each week, is a pre-set, six-course French bistro-style meal with wine pairings to accompany each course. This is not your typical restaurant! Diners all eat the same meal (with no substitutions) and are seated communally at the two tables in full view of the kitchen. Chef Naomi Pomeroy is something of a local culinary hero and the unique experience doesn't disappoint. Reservations are a must at Beast. One of Portland's most acclaimed restaurants, DOC serves Italian fare using local, Pacific northwest ingredients. The menu, which changes nightly, features a choice or three or four entrees as well as salads, first courses and house-made desserts. You can also choose the five-course tasting menu (with optional wine pairings) and sample a variety of the chef's creations. DOC is open for dinner Tuesday through Saturday and reservations are a good idea as this place is popular. As you'd expect, the focus is wine at Kir Wine Bar, with more than twenty wines offered by the glass, including offerings from two Oregon wineries on tap. You'll find the expected, such as a local pinot noir, as well as the unexpected, a selection of old world rosés by the glass. The food here is offered on small plates, ideal for sharing, and includes pate, mussels, charcuterie and cheese as well as seasonal selections such as pumpkin soup and chicken thighs with corn and kale. Kir Wine Bar is open evenings, Monday through Saturday. Lemon Grass brings a taste of Thailand to the NE Portland dining experience. This cozy restaurant, housed in a Victorian townhouse, uses local ingredients to craft the nuanced cuisine of southeast Asia, earning the eatery excellent Web reviews. Menu highlights include classics pad thai (a rice noodle dish with peanuts, scallions, egg, chicken, lime, chilis and coriander) and traditional green curry, among many other options. Lemon Grass serves lunch Tuesday through Friday and dinner Tuesday through Saturday. The NE Portland dining scene's Mexican cantina is Authentica, a restaurant that showcases the cuisine of Mexico's southern Pacific coast using the freshest local ingredients. Chef Oswaldo Bibiano has received numerous local and national honors for his menu, highlights of which include the interwoven flavors of chicken mole, ceviche made with fresh Mexican sea scallops and marinated, grilled pork loin with beans and rice. Authentica serves dinner Tuesday through Sunday and brunch on Saturday and Sunday.